Why Is Coca-Cola More Accessible Than Water? Question: Why is a can of cold Coca-Cola more accessible than a glass of fresh water? Answer: Coca-Cola is closer, more affordable, and more available to us than a glass of good pure water because someone profits from it. Again, the egoism of a person, of a manufacturing company, pushes it to make its product more accessible to all. It cannot earn as much from a glass of water as from a can of Coca-Cola, so Coca-Cola promotes itself to make money from us. However, if by means of planetary awareness, we realize what is useful for us, we use only good things for us and despise the rest, if we eliminate everything we do not need and use only necessary things, then of course, during the life of one generation, we would be able to raise a generation that would be disgusted with Coca-Cola and all sorts of unhealthy foods, endless sweets, etc. Then, we will bring up a new, healthy generation without genetic food and without such poisons as Coca-Cola and such. After all, if egoism disappears from the world, then no one will benefit from making poisonous foods. No one would feel any benefit from it. On the contrary, society should condemn all those companies that act this way. Society must take care to protect all its members from the distribution of poisonous food. But since we do not love each other, we do not care about each other’s health. As a result, of course, there are those who sell poisons, advertise poisons, and there are those who under the influence of this advertisement begin to buy them, use them—they take this poison. Our egoism pushes us to all bad things. Until we restrain it, we will drink poisons and will not achieve a healthy life. Question: How can I improve the quality of my annulment before others? What is important to pay attention to? It feels like everything starts from this point. Answer: I am trying to give the most appropriate material, especially on Twitter, to awaken people somehow. In each lesson we advance at least in the theoretical understanding of our task. No matter how much I want to, I cannot speak more openly, in more advanced way. This is a closed system where my students dictate the boundaries of my conversations. The events during holidays and conventions are the only ones that give me an opportunity to express more because a vast mass of people, who somehow connect together, join us. We then somewhat succeed. We are advancing by leaps, jumping from convention to convention, from holiday to holiday, like a grasshopper that jumps from one place to another. It’s good, I would nonetheless like more intensive, consistent, uniform, and continuous advancement. Soon, we will have a congress. Let’s get ready to join together in a single impulse. This is a huge force! Imagine how much effort is being expended now in all countries of the world where there are at least a few of our friends! And we have friends all over the world, in almost every country. Let us make this congress as impressive as possible, from the bottom of our hearts, so that it gives us a big push. We have already passed so many different preliminary stages that I think we will be able to find ourselves in a network of altruistic forces, above our egoism, and will begin to feel, at least a little, the smallest spiritual qualities between us, not in each of us. Suddenly, you will see how certain spiritual qualities, movements in relation to friends appear in you—what you desire for them, and what you feel from them. Also, between you, there appears a network of communication in which the Creator is revealed. You can do this. This is what the congress is intended for. Kabbalah Conventions: What Role Do They Play In Solving The World’s Problems? How Do They Accelerate Spiritual Progress? Do They Require Prior Knowledge? Question: What role do the conventions you put on around the world play in realizing the solution to the world’s problems you often discuss: unity of the people, and education toward unity? That is how we need to use the convention. It’s not just for the 500 or so people who will attend, and neither for those other few thousand that will connect and listen to it, but to those millions and billions who need to hear something related to connection, unity, mutual guarantee, the purpose of life, which we discuss at the convention. Question: You often say that a few days at a Kabbalah convention can make up for a year’s worth of spiritual progress. Why is that the case, and how does that work? Answer: Whoever comes to a convention connects to the people attending, receives a point of connection with everyone, and then whatever happens in the same convention hall, in a dynamic way, since it relates to connection among people, not virtual connections through the Internet, a person who mingles in the connection there over a few days receives live contact with others, connects with a Kabbalistic group, together with me, and with all our strong friends attending the convention. Therefore, it is like a very thirsty person reaches a well, and he has something to drink. Someone who doesn’t come physically doesn’t get that spiritual supply like someone at a convention. Therefore, if we talk about someone coming to the annual convention in North America, then we have at least this once-in-a-year opportunity to sink the tube into the well, in order to afterward fill ourselves from it. It’s a pity for whoever misses out on this opportunity, because we really cannot compare someone who attends the convention—who progresses together with everyone and who has live, physical contact—with someone far away, who has the opportunity to come, but who doesn’t make that effort. The latter person robs himself of spiritual progress. Question: Does a person need to have any prior knowledge or education before attending a Kabbalah convention, or can a person come even if they’re completely new to Kabbalah? Answer: We create our conventions in a way where there is no need to have any prior knowledge, preparation or accolades in order to attend. However, anyone who wants to come and participate, even a person off the street, can do so. Certainly, he will receive according to his preparation, but he’ll have a connection with a true, spiritual, live source, and that is what’s most important. 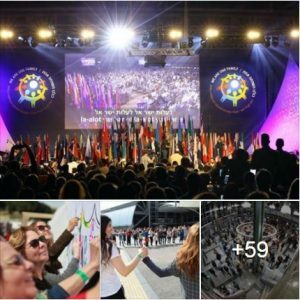 3 thank you messages for what made the World Kabbalah Convention the most powerful spiritual event ever held. First and foremost, thanks to all the friends and students who came from 70 different countries and dedicated a week of their lives to take part in this special event. 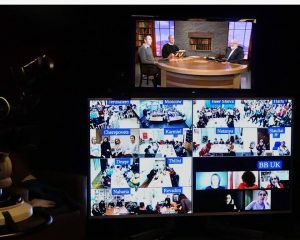 Second, thanks go to the friends and study groups who could not make it but participated virtually and were with us through their screens the whole time. Third, thanks to all the students and friends from Israel and to all their guests who participated in the convention for the first time. 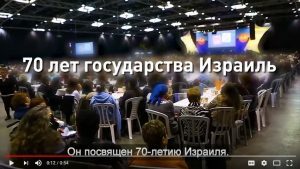 In addition, the convention took place on the 70th anniversary of the State of Israel, so we have put a special emphasis on Israel’s spiritual role in the world. We learned that in Kabbalah, an “Israeli” means one who yearns to discover the higher attributes of love and bestowal and wants them to prevail in all human relations. And people from all over the world identify with this sublime idea, whether they are Jewish or not. Now, in the days after the convention, we must maintain the spiritual connection we created together. The special connection we had at the conference is a clear example of the spiritual bond that we must achieve and maintain between us at all times—until we merit such a connection that the Creator, the quality of love and bestowal, will be revealed among us in all its glory. As the great Kabbalists wrote, I truly believe that we can reach such a connection between us and the whole world. The dedication of friends from all around the world and the great effort made in all the preparations for our annual event only indicate that we are laying the foundation for a new and corrected world.